Boosted by his second Arab Championship Men’s Singles title, secured recently in Cairo, his first being in Iraq in 2013, Egypt’s Mohamed El-Beiali believes he is a major contender for honours at the forthcoming the 2018 ITTF African Championships. Proceedings commence in Port Louis, Mauritius on Monday 3rd September and conclude on Sunday 9th September. 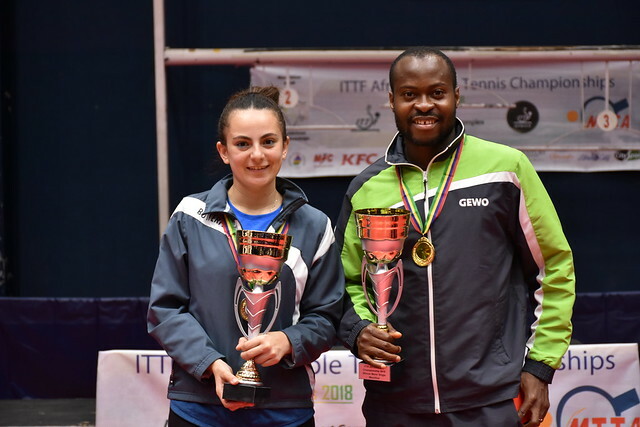 Success in Cairo but at the 2018 ITTF Challenge Nigeria Open staged earlier this month, Mohamed El-Beiali did not enjoy the greatest of success, he was beaten in third round by Romanian teenager, Rares Sipos. Now in Mauritius a major challenge awaits Egypt; especially as the North African country will be without Omar Assar. Notably, Mohamed El-Beiali is aiming for the top 100 in the ITTF Men’s World Rankings this year and believes the standard of the game has improved tremendously in Africa, particularly with the giant strides made by Quadri Aruna and Omar Assar. Mauritius awaits; Mohamed El-Beiali is well aware there is a tough challenge ahead. An intriguing contest awaits, the question posed is of the continent’s leading nations who will prevail, Egypt or Nigeria? Maybe Mohamed El-Beiali holds the key?